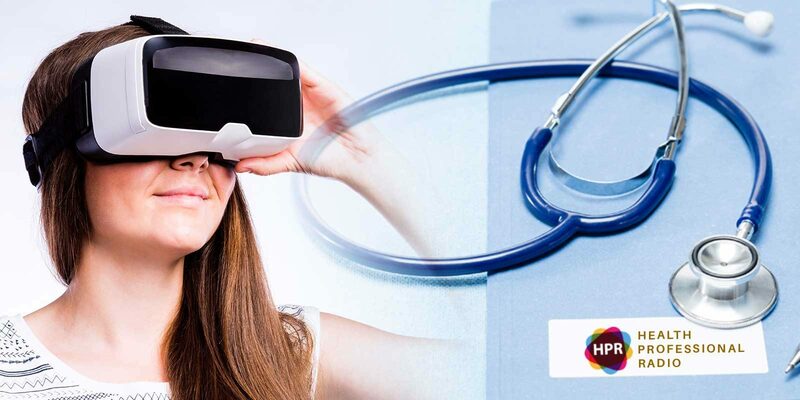 Dr. Justin Barad, MD, co-founder and CEO of Osso VR, a leading virtual reality training platform discusses how VR is more resourceful way to better train hospital surgical teams as well as individual surgeons. Dr. Barad is a practicing pediatric orthopaedic surgeon with a Bioengineering degree from UC Berkeley, and an MD from UCLA where he graduated first in his class. He completed his residency at UCLA and his fellowship in pediatric orthopaedics at Harvard and Boston Children’s Hospital. Since 2006 he has been an editor and contributor to medGadget, a popular medical technology news site. Neal Howard: Hello and welcome to the program. I’m your host Neal Howard here on Health Professional Radio. Our guest today is Dr. Justin Barad. He’s a Co-founder and CEO of Osso VR. Joining us here on the program today to talk about virtual reality as a training platform and how VR is a more resourceful way to better train hospital surgical teams as well as individual surgeons. Welcome Justin, how are you? Justin Barad: I’m doing well, glad to be here. Neal: Well, I thank you for taking the time and joining us on the program today. You are the CEO of Osso VR. Talk about a little bit about your background and a little bit about starting this company? Justin: Well it really started way back when I was in highschool and I was originally interested in video game development. And around that time, there was some illness in my family and it got me interested and maybe, there’s a way to use software and technology which I was so passionate about to help people specifically with medical problems. And then in college, I was studying biomedical engineering and my mentor had some pretty sage advice for me and he suggested that if I wanted to invent technology that it’s best to understand the problems and he thought the best way to do that in medicine was to be a physician. So I followed his advice and I went to medical school at UCLA and then I stayed there to pursue my orthopedic surgery training and subsequently also, I subspecialized in pediatric orthopedics at Boston Children’s Hospital. And it was during my training really that I discovered the biggest problem I feel that’s facing our healthcare system today and that’s how we train, educate and assess our providers. And it was experiencing this problem and seeing it every day that led me to basically combine my passion with game development to try and solve this problem with virtual reality and founded Osso VR. Neal: What would you say in your opinion is the most challenging aspect of the traditional training that we do with our physicians and surgical teams? What is it that is lacking that could improve the patient experience? Justin: There are many challenges and it really depends on who you are as surgical team and where you’re at in your career. If you’re talking about residents and training, the issue that they have is that there is just too much to learn and too little time to learn it. So it’s kind of basic math really if you think about it. Every year, we are discovering new science, new medicine, new procedures, and new technologies and devices and these in general are not replacing something but additional things we need to know. And not only are there more procedures that we need to learn now but these newer procedures tend to be more complicated. So if you think about it, these are the things like robotic surgery or image guided navigation, patient specific implants, maybe people have heard of some of these things. And so whereas, we used to be able to learn these new techniques and a few cases which means a few surgeries on patients. Now these new techniques have data that sometimes you have to do it more than a hundred times on people before you can do it safely and up until then, it’s much riskier. And in addition to that, there’s much less time to learn. So with the residents, there were work hour restrictions imposed which were quite reasonable, so now they’ve resorted to working only 80 hours a week but that lost a year of training time. Certain administrative tasks like electronic medical record system has shown up to now take up over 50% of residents and other physicians’ time and their cultural changes where people are now much more aware of who is operating on them, who is touching them when they’re in the hospital or the clinic and they’re less inclined and for obvious reasons, don’t want people practicing on them for the first time. But the issue is also who are they supposed practice on. So the data is very harrowing on the residents so after 4 years of college, 4 years of medical school, 5 to 7 years of residency – at the end of all of that, the data shows about 30.7% of residents still can’t operate on their own. So the system is starting to show strain under these pressures. And then there’s the issue of once you’re out in trainings, you still have to learn these new procedures and they’re still quite complicated and once again, the data shows that a fully trained surgeon who has done residency and fellowship and had been operating safely for a while if they want to learn new procedures, they still seem to have to do it a hundred times on people to be able to do it safely and up until then, their complication rate can be 300% higher. So these kind of newer procedures may be a way to teach them and train people and then efficiently not on patients and also assess that people are able to do them safely before they bring them to someone who is trusting their doctor that they’re going to get the highest quality of care possible and aren’t having someone kind of do it for the first time to just see how it goes. Neal: To most of us, the term “virtual reality” is pretty self-explanatory. But for those of us who aren’t intimately familiar with the term, what is virtual reality or VR as it’s commonly referred to? Justin: I think that’s a great question and I think the term itself has changed over the years. But virtual reality in today’s day and age really refers to an immersive kind of interactive media experience in which the user will wear a headset, so has that as sort of looks almost like ski goggles as you put on your head and in front of you are special lenses for your eyes and then a screen. And within the headset are motion sensors and also some sort of tracking system to track the position and rotation of your head. So once you put this headset on, you are looking into a virtual world that feels like you’re actually there and this is called “the sense of presence” and wherever you look, wherever you move, you will move within that virtual world and it’s indistinguishable from the real thing. Additionally, VR can have what’s called “motion control.” So high quality VR ot tethered VR will have one to one hand tracking. So you can interact with the virtual world with your hands, you could pick up objects, for a surgical simulation you could perform the procedure like hammering, filling, incisions and things like this. So this is a critical component of modern VR that really enhances the immersiveness and interactivity. Although there are VR experiences that don’t have this and just have the headset and lacks sophisticated motion control so this would be like mobile VR and like the Samsung Gear, Google Cardboard or Oculus go. Neal: Well just like any any gaming platform say online, I guess there’s the multiplayer aspect of it – are many physicians or surgical teams able to say I guess log into a program and be able to train virtually no matter where on the planet they are? And if that is possible, are there other components that go along with this VR where you’re actually touching something other than maybe a dummy or something like that or some type of tissue or is that totally unnecessary with VR? Justin: I’ll break that into two parts. So I’ll address the first part in that we recently announced our collaborative training functionality. So yes, this is absolutely true. We’ve had up to 15 people in our virtual reality training experiences and they’ve been all over the world. So we’ve had people from the East Coast, in the West Coast, the UK, all in virtual reality training together and it’s really fun and exciting and very intuitive and natural one. So what this allows you to do is you can learn with the team without people having to travel or find time to get together in the same physical location. And you can also capture expertise so you can have a world-renowned expert who’s located very far away able to train you personally in these very advanced techniques and you can bring this incredible knowledge set to very remote and rural areas, areas that may not have had access to advanced surgical training and education and assessment before. And another important aspect to team training which has been a focus of simulation within healthcare recently are what are called “soft skills.” So leadership, communication, just general workflow and efficiency and these are so critical for patient safety and this team training really gives you the ability to not only train but also evaluate teams and how they perform. And then finally, it also provides the opportunity for what’s called “just-in-time training.” So I always tell the story how we were once called while we’re at lunch to immediately drive to the zoo to operate on a gorilla which highlights the how you just don’t know it when you come in through the door when you’re in this world and so you have to be ready for anything. And so what this functionality gives you the ability to do is practice with routine before you’re actually in the operating room to kind of give everyone a warm up and kind of get the flow of the procedure done especially if it is something no one has ever done before what’s called a “high urgency low frequency situation.” So that just scratches the surface of collaborative VR which is really the future of surgical training because if you think about it, it’s a team sport with. A lot surgeons like to fancy themselves athletes, there’s a lot of sports comparison. But there can be 8 to 10 people in the operating room at once so there’s a lot of talk about the surgeon and training the surgeon but there are a lot of people involved and everything they do is very complex and have to integrate together and sort of almost a ballet of sorts. So this is a really need to have type of functionality. Your second question was about basically the idea of having some sort of hybrid system in which there’s a real world object and now you are looking through either augmented or virtual reality and are able to interact with or you can also track real world objects and put them in the virtual space so this is often done with certain instruments or controllers and there are lots of different methods for doing this. This provides advantages in the sense that their systems like CAE healthcare make some augmented reality headset where you can use an ultrasound on a dummy like you wouldn’t realize it but you can kind of see the output and you almost see through the patient which is really interesting. The one challenge with doing something like this is now these virtual reality technologies new generation is very affordable and available all over the world. So it’s an incredible technology and the price point is that is just kind of unbelievable. Once you introduce some of the custom functionality, you lose some of that accessibility and scalability components. And so what we see as very important and this is the third pillar of our mission of the company is democratizing access to surgical education. So making this available whether you’re in New York, or whether you’re in Ethiopia, India or a rural place in America, we want everyone to have the same surgical training experience and be able to afford it or just have it at home once everyone just has VR headsets in their homes. So that’s kind of what we’re shooting for is where is this middle ground where we can achieve exponential skill transfer but just everyone can access it and there’s no restriction based on having to work for a big hospital system with a large budget. Neal: Well we’d like to go online and learn some more. Where is Osso VR’s web presence? Neal: Thank you Justin for joining us today on the program. Some very exciting and interesting information, hoping that you’ll come back and give us some updates. Justin: Yes, thank you so much for having me. It’s a real privilege. Neal: You’ve been listening to Health Professional Radio, I’m your host Neal Howard. Transcripts and audio of this show are available at hpr.fm and at healthprofessionalradio.com.au. You can also subscribe to this podcast on iTunes, listen in and download at SoundCloud and be sure and visit our Affiliate Page at hpr.fm. Toby Longhurst: Thank you for listening to Health Professional Radio. We’re very proud to be an independent broadcaster providing a content free of charge to you the listener. One of the ways that we’re able to remain free and independent is by having people like you become patrons. You can support Health Professional Radio simply by visiting hpr.fm and clicking the button that says “Become a Patron.” Your patronage of even just $1 a month lets us know that you’re there which in turn makes us more valuable to advertisers. And of course, if you’re able to afford more, then we would certainly appreciate the support. My name is Toby Longhurst from Health Professional Radio. Please visit hpr.fm, click the “Become a Patron” button and support us if you can.